Andrew Heming's Blog: Should Women Train Differently Than Men? Ladies, do you need a different training routine than men? Should they just join in with the guys or have their own special training programs? Recently, I noticed that this question was asked and answered in our local paper. I was disappointed with the answer. You see, the answer is tricky. It’s not a simple yes or no answer. Like every good training question, the answer to this question is really, “it depends”. There are some differences, but not what you might think and definitely not what is often given in most lady-focused fitness information. Ladies, here is what you really need to know about training as a woman. Respect individuality and find what works for YOU! 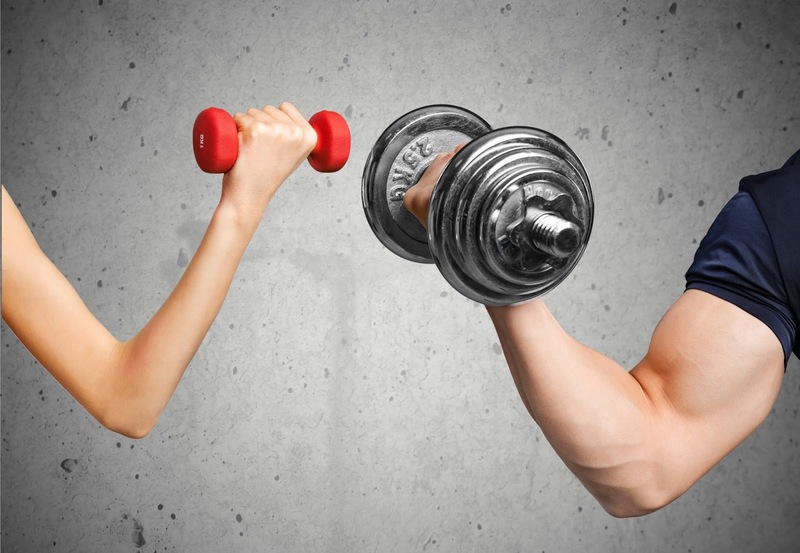 If a man’s goal is muscle gain and a woman’s goal is fat loss (how’s that for stereotyping? ), they obviously need a different program. Even two people with the same goal could be on quite different training programs if one is a beginner and the other is advanced. You play by different rules and follow different strategies depending on your training experience. 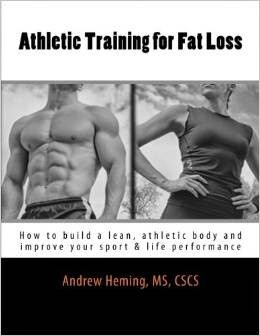 This is why I included beginner, intermediate and advanced training programs in my book Athletic Training for Fat Loss. If you have a glaring weakness (e.g. posture, instability, aerobic fitness, left-to-right asymmetry, strength, flexibility, etc.) this needs to be brought up to at least a reasonable level. You have to make sure you have adequate mobility, stability, movement quality, relative strength & work capacity for what you want to do. If you have a long torso and short limbs, you will respond better to certain exercises than a person with a short torso and long limbs. The most important thing for you to understand as a woman is the stuff above. However, there are some subtle gender-specific training differences you can consider to further personalize your training. There is more bad information aimed at women. As a woman you have to be extra careful that skilled marketers aren’t playing on your emotions and sucking you into silly fitness gimmicks that promise you the body you’ve always dreamed of – by Friday. The average woman has a noticeably weaker upper body than a man (of course there are some exceptions). However, what many women fail to realize is that this difference pretty much stops at your waistline. As a strength coach who works with a lot of elite female athletes, I can tell you that women are capable of a lot more from their lower bodies than they think. Really push hard with your lower body training. Don’t be afraid to work up to some impressive weights and embarrass the boys. Because most women have slightly a higher percentage of slow twitch fibers than guys, they often do better with slightly higher reps. However, please don’t get carried away with your reps. This means 5’s instead of 3’s or 8-10 reps instead of 5-8 reps, not doing 50 reps with the pink dumbbells. Ladies often can recover faster between sets than guys can. 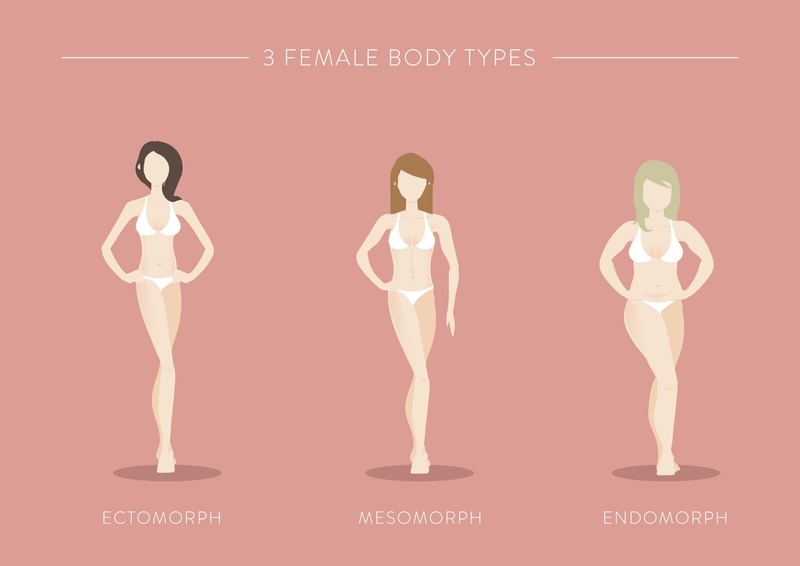 However, this difference is more due to body type and strength levels than gender. If you are strong, don’t be afraid to take the rest you need. However, if you are ready to go, don’t feel you always need the extra rest time unless you are doing speed/power training. Note: don’t shorten your rest intervals too much and turn weight training into cardio. Too many women try cardio, find it fails to sculpt a toned body, then move on to strength training. However, they use really light weights, do high reps and take short rests between sets. All of these training modifications (which are pushed in women’s fitness all the time) turn the strength training into cardio – which failed them in the first place. Compared to men, most women tend to emphasize their quads over their glutes and hamstrings in athletic movements. For both performance enhancement and injury prevention, I emphasize the posterior chain (i.e. glutes and hamstrings) for my female athletes. However, this area also has the potential to transform the look of your lower body. Therefore, I also emphasize posterior chain movements such as hip thrusts with my aesthetic-focused female clients. For the record, I’m not a “whole body guy” or a “split routine guy”. They both work and I use them both for both genders. However, I have found that women tend to like and respond better to whole body routines while guys to split routines. If you are not an advanced physique athlete, give whole body training a try. Related: Whole Body vs. Split Routines? As a woman, your pelvis was designed to allow a baby to pass through it. As a result, women tend to have wider hips. This creates a greater angling in of the femur (thigh bone) and this angle is called the Q angle. 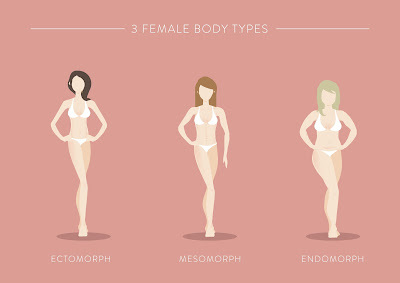 Regardless of body composition, some ladies have wider hips than others. If you have a wider pelvis, you will have more angling in of your thighs and your knees will be more susceptible to excess strain and injury. If this is you, be extra careful in your strength training not to allow your knees to drift inward. Also, limit the amount of high impact activities (e.g. jogging). Related: Should YOU be Jogging? While men tend to have more mobility issues than women, ladies tend to have more joint instability issues than men. Also, when women do have mobility issues it is more likely to be caused by instability than an actual inflexible muscle. In your warm-up, include some stability exercises. Also make sure you emphasize free weights in your training. Most gym equipment is made for average-sized males. If as a lady, you are quite a bit smaller than the average-size male, you may have challenges. If you belong to a gym, you will have to use what you can and avoid what doesn’t work. If you train at home, consider getting equipment more suited to you. For example, I got women’s bars for our female athletes (they have a thinner diameter) and the ladies love them. In his course, “Equal, But Not the Same” Paul Chek gave a great analogy of the female body: “Men are like trucks, women are like Ferraris”. The application is this: not only do women look better than men, they need to have their bodies more fine-tuned than men. Pay more attention to your mobility, stability, imbalance and weakness issues and your body will thank you. Everyone should keep a training log. While this may not be your primary motivator, you need to see progression in your training to see changes in your body. If you are an athlete, you will have to look at more subjective measures such as 10meter sprint and vertical jump. How about you? I welcome your comments and questions below or on my Facebook Page. thank you this article was very helpful and gave a lot of information in multiple different areas and really gave me a better idea about how to go about getting fitter and stronger.